Here are the articles I have authored today for this great series. 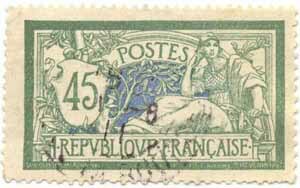 Below are sample images of all of the stamps and mention of their issue dates. 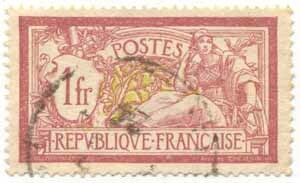 Article 3: The second France 2 Francs Merson: The second France 2 Francs Merson was issued in 1907. There is a first 2 Francs Merson. 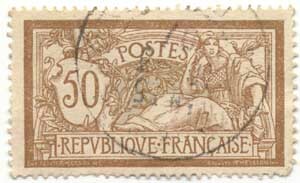 Article 16: France Merson High Values: I show here pages for each stamp showing color variations (5 Francs, 10 Francs, 20 Francs) and pages with dated specimens showing possible usage ranges as well as some representative specimens (5 Francs, 10 Francs, 20 Francs). 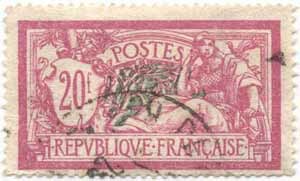 Article 30: The first France 2 Francs Merson: The first France 2 Francs Merson is the scarcest value of the series. I show some color variations and a few dated specimens. 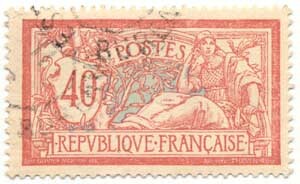 Even though beautiful designs are evident before this issue, the Merson definitives mark the beginning of great stamp design. 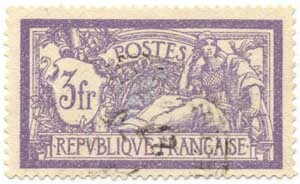 These are Art Noveau stamps used during the same period as the crafts and artwork of this style were being produced. 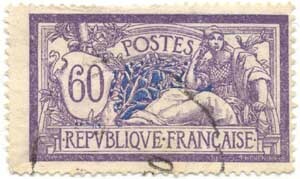 Related Articles: 3 (second 2 Francs), 16 (5/10/20 Franc), 30 (second 2 Francs) , 65 (1 Franc), and 95 (3 Francs, both issues). 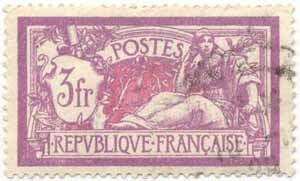 The first group of stamps was issued in 1900: the 40 centimes, 50 centimes, 1 France, 2 Francs violet (the scarcest value of the series), and 5 francs. 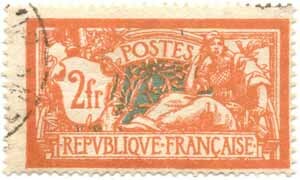 The second issue of Mersons took place in 1907: the 45 centimes, 60 centimes, and 2 Francs orange. 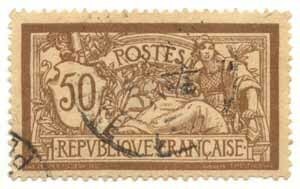 The 50 centimes is found sometimes on a paper resembling news print. 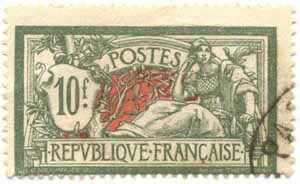 The third issue of Mersons took place in 1924: the first 3 francs, the 10 francs, and the 20 francs. 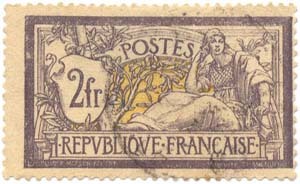 The 10 francs and 20 francs values were used in high value frankings during the inflationary period that took place in Europe in 1923 during the collapse of the German monetary system. 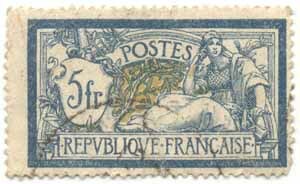 The second 3 francs, issued in 1927, is the last Merson to have been issued.